India, April, 2016: To further its commitment towards advancement of innovation, education and scientific research, 3M entered into a strategic partnership with the very prestigious Nobel Media: A company which endeavours to spread knowledge about Nobel Prize-awarded achievements and stimulates interest in science, literature and peace in line with Alfred Nobel’s vision and legacy. This partnership will take forward the common bond of dedication pursued by both organization on scientific achievement. Another important aspect will be to leverage the shared values of both Nobel Media and 3M to develop new concepts and activities that expand the impact of each organization. “We are honored to align 3M and everything we stand for with Nobel Media and the values embodied by the Nobel Prize. This partnership gives us the opportunity to jointly focus on educating, inspiring and engaging a broader audience on big issues that impact people’s lives around the world,” says Inge Thulin, 3M Chairman, President and Chief Executive Officer. 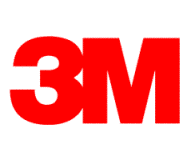 3M brings a breadth and depth of scientific expertise and experience. 3M will collaborate with Nobel Media over several years to bring light to important global issues, like the future of scientific education and sustainability. The international partnership with Nobel Media will only extend the reach of the Nobel Prize to millions of people around the world through inspirational events, digital media and special exhibitions and activities related to the legacy of Alfred Nobel and the achievements of the Nobel Laureates. Alfred Nobel’s final wish was to establish the Nobel Prize to reward those with outstanding achievements in science, medicine, literature and peace – those who imparted “the greatest benefit to mankind.” He was an inventor, engineer and entrepreneur and the holder of 355 patents, according to nobelprize.org. 3M was also a sponsor of the Nobel Prize Series Dubai, which took place between March 20-21, 2016 and featured three Nobel Laureates – Martin Chalfie (Chemistry, 2008), George F. Smoot (Physics, 2006) and Kurt Wüthrich (Chemistry, 2002) as well as business leaders, academics, policymakers and students. The theme for the Dubai event was “Learning for Life,” with the goal of raising increased public engagement in science. Nobel Media spreads knowledge about Nobel Prize-awarded achievements and stimulates interest in science, literature and peace in line with Alfred Nobel’s vision and legacy. The company reaches a global audience of millions through its high quality productions within broadcast and digital media which includes the official Nobelprize.org website and podcast, the Nobel Prize Concert, as well as a series of intercontinental, inspirational lecture events featuring Nobel Laureates. The company also manages a portfolio of publishing licenses, footage sales, and live broadcast rights to the Nobel Prize Award Ceremonies. Nobel Media®, Nobel Prize® and Nobelprize.org® are registered trademarks of the Nobel Foundation. Disclaimer: Nobel Media AB is not directly or indirectly involved in the process of nominating or selecting Nobel Laureates. These procedures are strictly confidential and regulated by the Nobel Prize awarding institutions.